The shop window, accessed via your inventory, enables you to run a shop on your character. 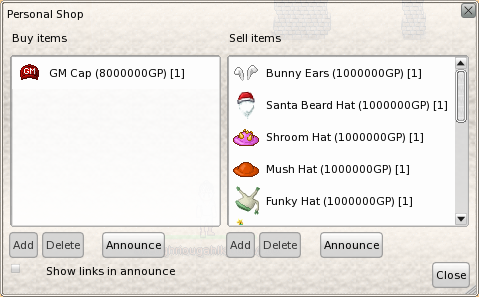 You can add items you are currently selling and items you are looking to buy. The shop will display the item, price, and quantity that you are looking to buy or sell.